This is a printable coupon available at HealthyEssentials.ca. You can use the drop down for brands to quickly filter for the Tylenol coupons. 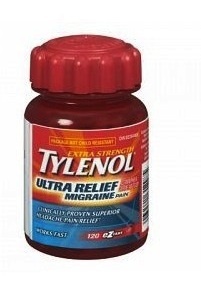 Select the Tylenol Ultra coupon and click on ‘Print’. After you print the coupon you can bring into any major retailer to save $3 on TYLENOL® Ultra Relief Tough on Headaches (80ct and 120ct). Tylenol coupon is valid only in Canada. You can find Tylenol ultra relief tough on headaches in any supermarket, grocery store, Shoppers drugmart, Rexall and more. *Clinical studies have proven that an acetaminophen and caffeine combination relieves headache pain more effectively than acetaminophen alone.